KAMPALA – President Yoweri Museveni has given UGX3 billion to support youth projects in 35 districts. 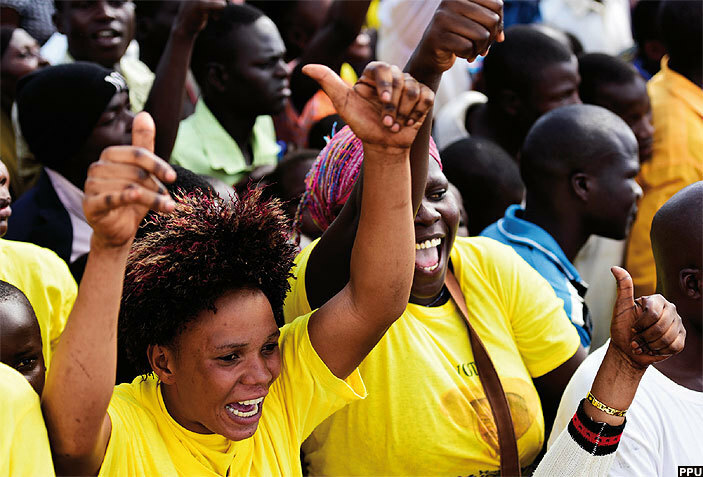 The announcement was made by Ms. Valentine Kasaija, the special presidential personal assistant on Youth Affairs, during a meeting of NRM youth in Wandegeya, Kampala, on Friday, April 12. Ms. Kasaija said the money will help train youth in different initiatives such as making soap, shampoo and tailoring, starting next month. “The youth have a lot to do and this can be translated into employment. There has been an outcry of unemployment but this will solve it partly. The president has given this money and later he will be going around giving machines,” Ms. Kasaija said. He also revealed that in the budget of 2018/2019, a total of UGX1.119 trillion had been put aside for Operation Wealth Creation, Youth Fund, Women Fund, Micro-finance, NUSAF, PRDP, Luwero Triangle Fund, UCDA and KCCA, among other initiatives through which this money is channelled to the beneficiaries. Meanwhile, the Chinese ambassador to Uganda, H. E. Zheng Zhujiang, hosted NRM Secretary General Justine Kasule Lumumba and other party leaders to a special dinner at their embassy in Kampala on Friday, April 12. Mr. Zheng said the dinner was in recognition of the special treatment the NRM party accorded to the CPC delegation that visited Uganda recently. “The visit was very successful. The delegation was happy,” Mr. Zheng said. Others present at the special dinner were Ms. Rose Namayanja (national treasurer), Mr. Kenneth Omona (deputy treasurer), Mr. Charles Egou Egwau (executive assistant to secretary general), Mr. Oscar Kihika (director legal) and Mr. Rogers Mulindwa, the party spokesperson.